The other night, half-way through fixing dinner, this happened. What can I say? Sometimes when inspiration strikes, I have to tackle a project right. that. minute. 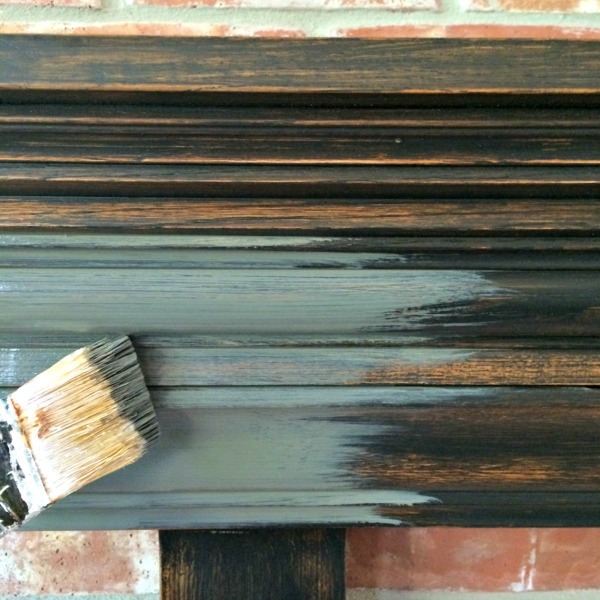 Several years ago, I had done a dry-brush black finish over my stained mantle. It's been bugging me for a little while, but I didn't know how I wanted to change it yet. Finally, the thought struck me to paint it the same color as the back of the built-in shelves (SW Urbane Bronze). For the record, I didn't do any prep for this other than wipe it down good. I did two coats of paint, then gave the top only a quick coat of polyurethane spray- my trick for assuring that the paint cures faster than regular drying times. It was ready after 24-36 hours to put the accessories back in place without being tacky. (Without any top coat, latex paint can take up to a month to fully cure so there is no tackiness when items are placed on the surface). I wasn't sure at first, but it's growing on me. Here's how it looks with all of the bookshelves along that wall. The color reads much darker in the shelves because of the lack of lighting. I've also been playing with the furniture arrangement in anticipation of finally finding a new sofa. I'm checking the measurements I'll need and will share more about that soon. Some of you with a sharp eye might have noticed a little something else that's new, can't wait to share more about that in the future too! I have a mini-living room makeover in the works, mainly just in the form of a few new pieces of furniture. See you tomorrow, our next big project is under way and I'm ready to spill the beans! oh i am looking forward to beans being spilled! 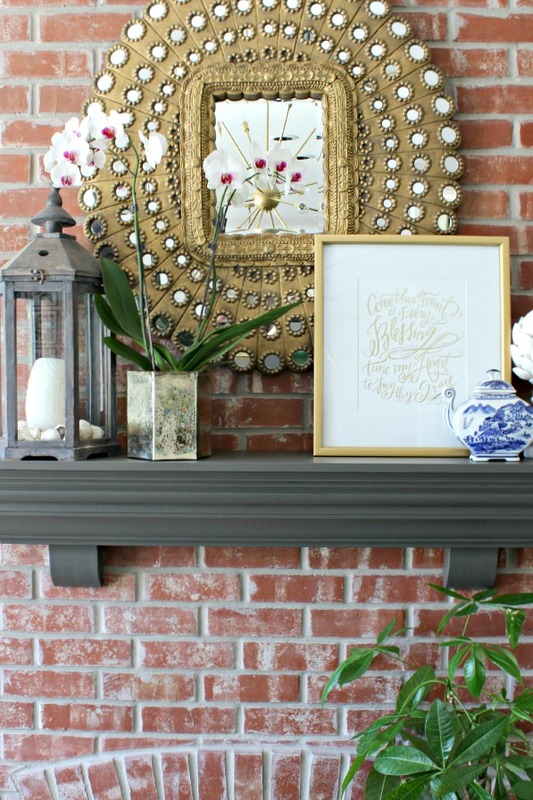 and love the mantle! Love it! 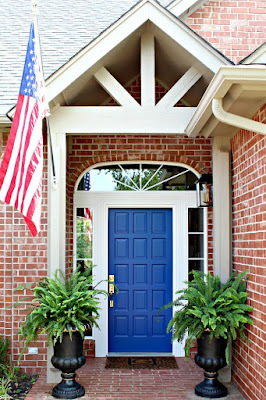 Urbane bronze is the color of our shutters. 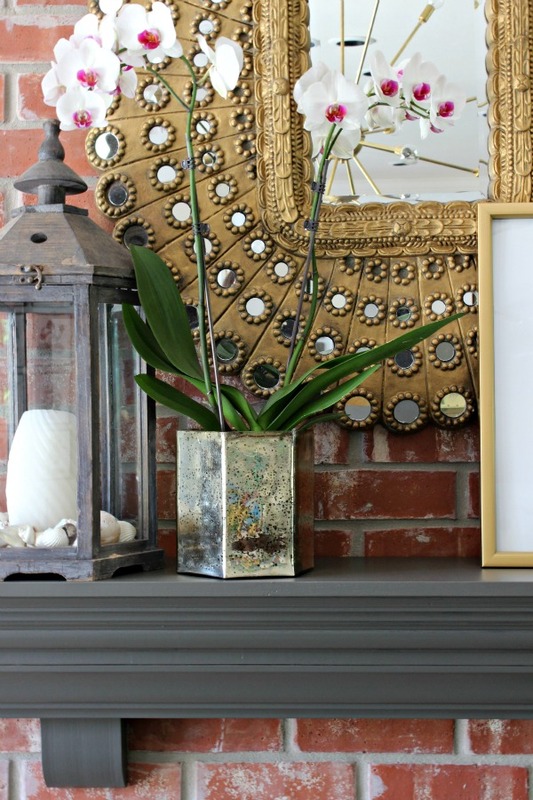 Your mantle looks amazing! It looks great, can't wait to see what you are up to. I love it!! Small change, big difference! Looks so great! I love that color. Such a difference! I think it looks great Jennifer! I love that it matches the back of your built-ins. I can't believe i didn't notice your mantle when I popped over yesterday!!! It looks gorgeous! I love it! 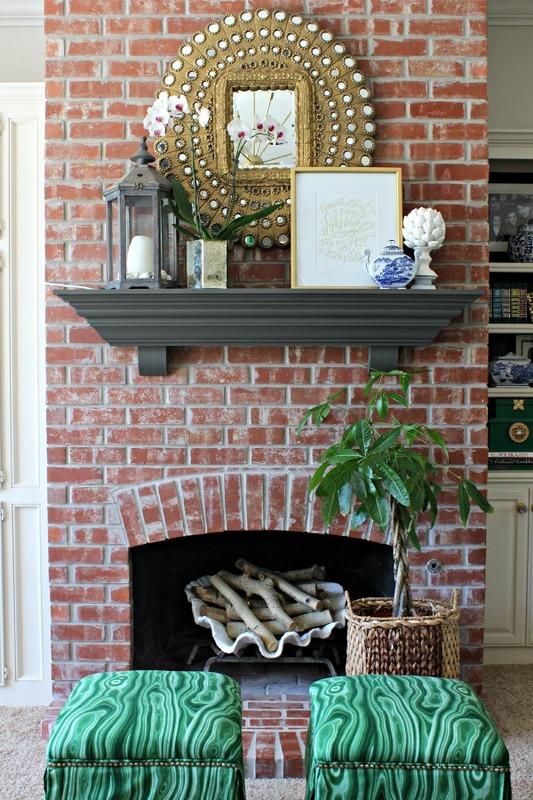 Love the mantle and all of the fun colors! I believe I see a new overhead light fixture. Can't wait to see it! 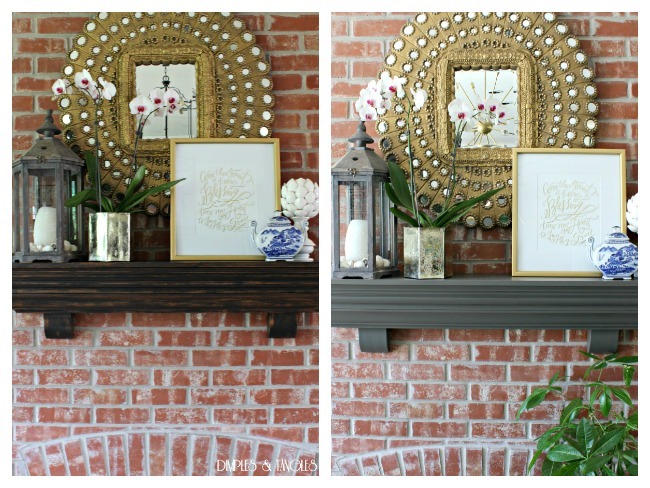 The change to the mantel is fabulous. It really ties that entire wall together. Can't wait for you to spill the beans (I think I spot new lighting). I spend hours exploring and re-exploring your blog. 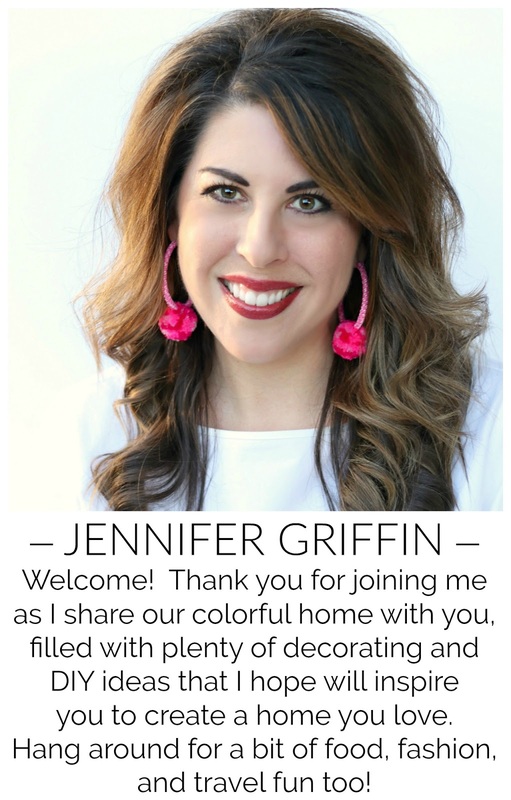 I love bright colors and you inspire me to be brave in my home. 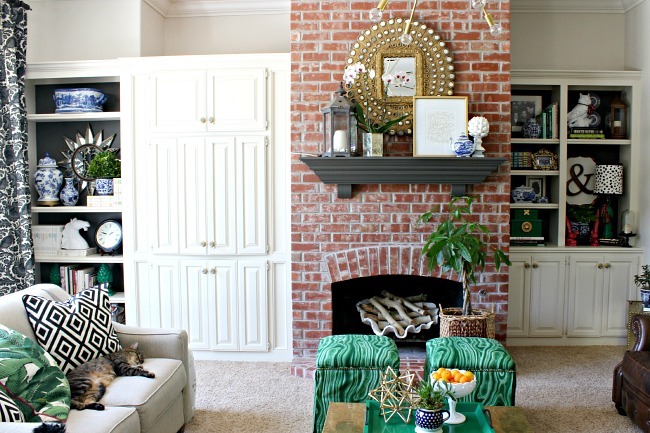 We also have a natural brick fireplace and I've been planning to paint it white, but it's a big step - hard to roll back. 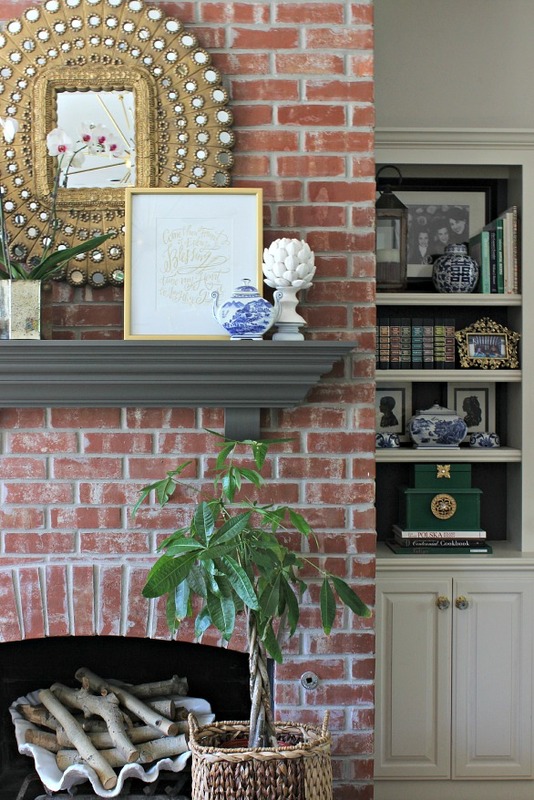 Have you ever considered painting your brick? I feel like the best ideas happen on the fly! I love the change! What a difference the color-change made!